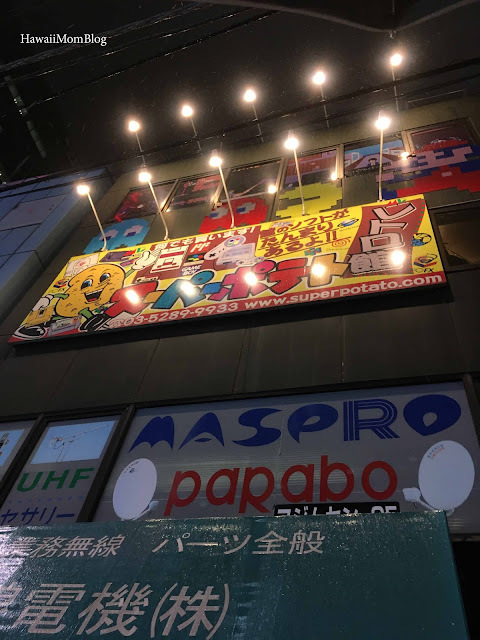 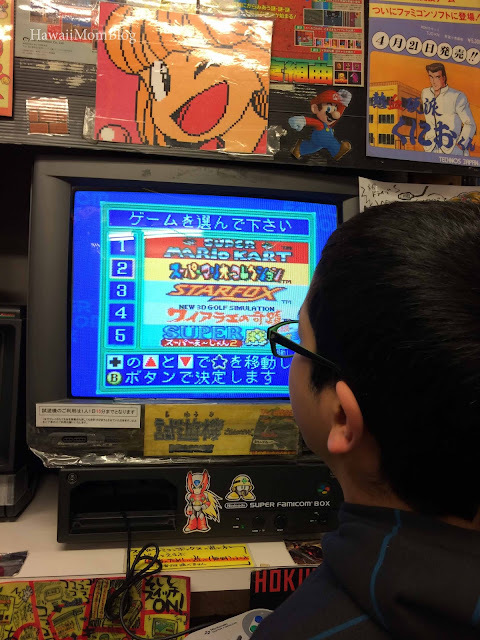 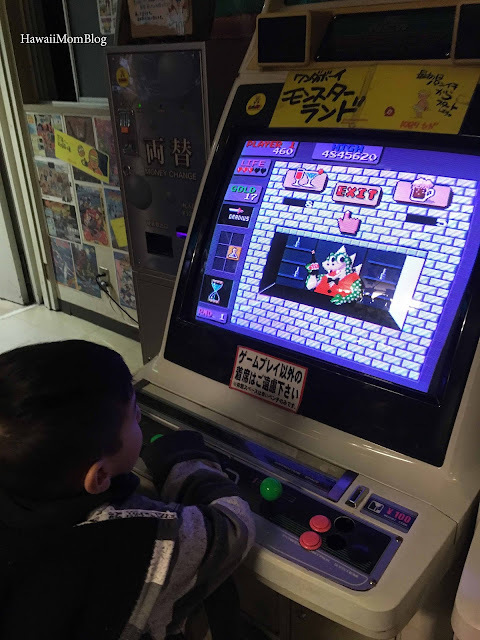 Super Potato in Akihabara is a must-stop for video game lovers. 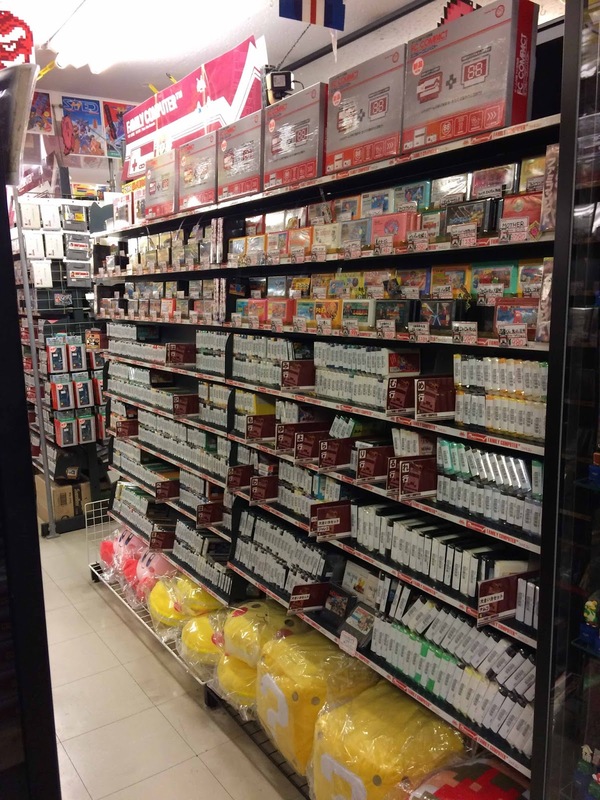 This video game store chain has several locations throughout Japan, and the Akihabara location is the flagship store. Specializing in classic Nintendo, Super Potato fills two floors with consoles, video games, accessories, toys, and other video game-related merchandise. 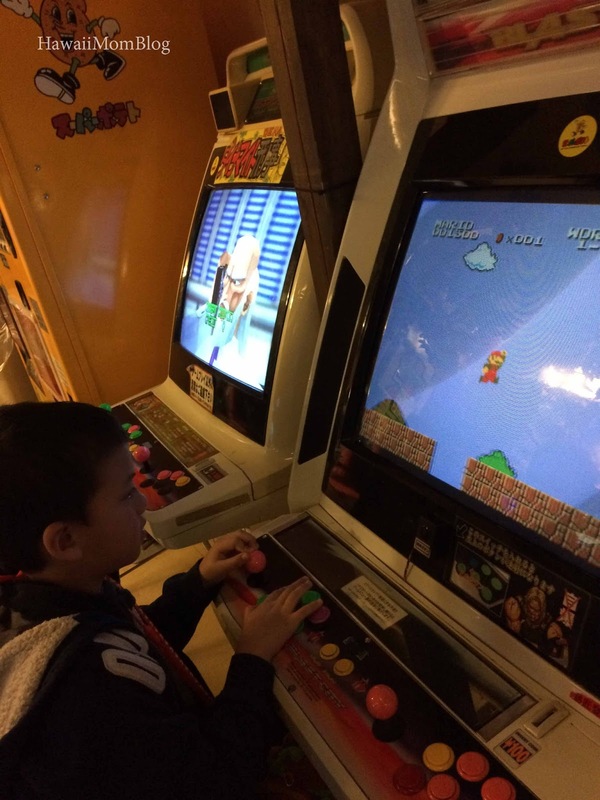 You can even play classic Nintendo games at a couple of stations on 3F. 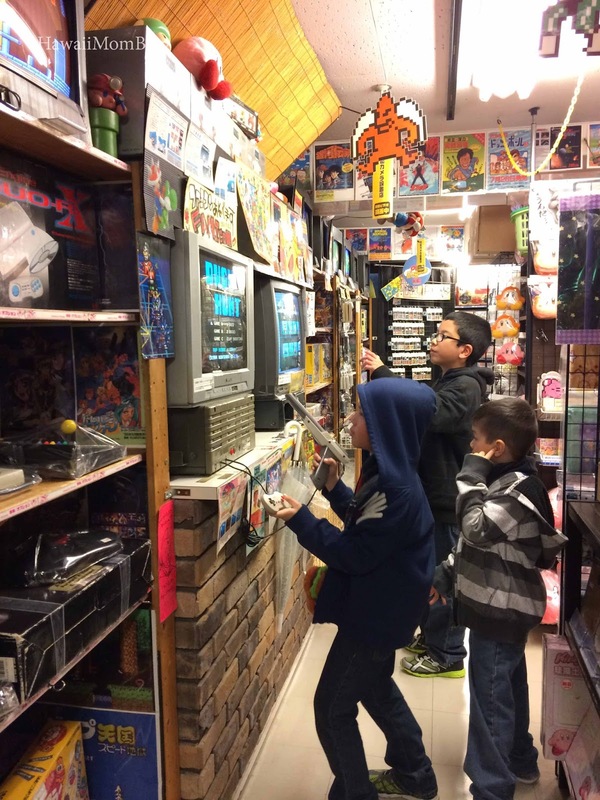 5F is a game center of retro games. Classic games can be played for 100 yen. You can also find lots of snacks for sale on 5F. The arcade was a little hot, and there is a smoking area in the back of the room, so we didn't stay very long to play games. 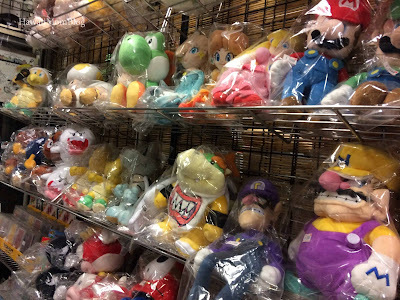 But we did purchase a lot of stuffed toys at Super Potato for my kids to add to their collections!